Matt - So Malaria is one of the biggest killers in Africa, particularly in pregnant women and children under 5 years of age. Current estimates from the World Health Organisation suggest there are 170 million malaria cases and perhaps 600,000 deaths in Africa each year, so it's a really big problem. Chris - So, given that burden of disease, how could we intervene in order to try to reduce those numbers? Matt - What we looked at was a new strategy called 'Seasonal Malaria Chemoprevention', or SMC, which involves giving all children under the age of five a 3-day course of anti-malarial drugs, once per month during the rainy season. Where this approach has been used, it's worked very well and prevented around 8 out of every 10 malaria cases, and importantly, a similar number of the severe malaria cases where children actually need to be admitted to a hospital. But to move from research to the real world, we need to know how widely this can be used. So in this study, our aim was to identify the areas of Africa where this approach could be useful. By identifying the parts of Africa, where most of the malaria cases occur within a few months of the year, we can understand where this approach of giving monthly courses of drugs for 3 or 4 months would be most effective. Chris - Because it's critical that you know where there is a fairly constrained disease activity zone because then it means you can put your resources in there in an efficient way. If it's spread out fairly diffusely over a very large area with a not very tight peak of disease activity, it must be much harder to intervene. Matt - Exactly, and so, the problem we're trying to overcome is that for large parts of Africa, we don't actually have reliable information on the pattern of malaria over the course of the year. But we found that the areas where most malaria cases occur within a few months tend to have quite a distinctive rainfall pattern. And in these places, most of the annual rainfall actually falls within 2 or 3 months and that's because the mosquitoes that transmit malaria rely on standing water to breed. So, in areas where there's a short rainy season followed by a long dry season, mosquitoes are only found in large numbers for a few months. So we realised that we could use rainfall to understand what the pattern of malaria cases over the year would be like in areas where we didn't actually have that information, and we were then able to use information on rainfall which is available for all of Africa to map the areas where the pattern of malaria cases is likely to be suitable for this seasonal drug-based prevention. Chris - What about the problem of resistance though because that's a major issue with antimalarials, isn't it? Matt - Yes. So, in the areas where this is currently going to be used, there's very little resistance to the two drugs that are planned to be used which is sulfadoxine pyrimethamine combined with amodiaqine, and in most of west Africa, those drugs remain very effective, and so that's why those drugs have been chosen to be used in this strategy. Chris - Based on this analysis, what area is amenable to this kind of intervention, where you go in with the drugs, and therefore how many people could it impact? How many malaria cases and therefore lives could you prevent being lost? Matt - We identified two areas of Africa, first of all, the Sahel and Sub Sahel which is a wide belt that extends from Gambia and Senegal in West Africa, all the way across the parts of Sudan in the east, and that belt actually contains some of the areas with the highest number of malaria cases in all of Africa. And secondly, according to the rainfall patterns, there's another quite large area of southern and eastern Africa that might be suited to this approach, and that was not widely recognised before we conducted our research, and is something we're trying to look at in more detail. In terms of the effectiveness, we identified that about 40 million children live in areas where this could be appropriate and about 25 million of those are in the Sahel and Sub Sahel belts where the malaria burden is very high indeed. And in terms of the actual impact, we tried to be realistic rather than optimistic about the number of cases and deaths that will be prevented. So, for example, we assumed that if the drugs were available, not every child would necessarily receive the medication every month, and we also tried to err on the side of caution regarding the effectiveness of the drugs. But even with our cautious approach, we still found that you might be able to prevent 10 million cases of malaria and 50,000 deaths every year. So it's really exciting, the potential impact of this new approach. Chris - Can poor countries afford this intervention strategy though? Matt - Yes, the drugs themselves are not expensive and actually, to treat a child for three or four courses over the year will cost something in the order of $1.5 to $2, so it's not expensive. The countries may need some support to begin doing this from the global funds to fight AIDS, TB and malaria or the U.S. President's Malaria Initiative. 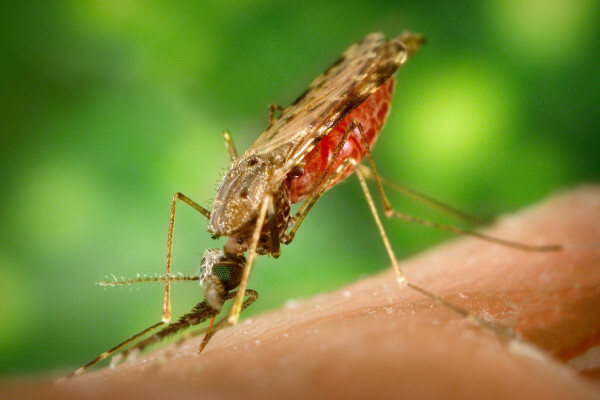 The costs involved are not particularly large and certainly, when compared with other malaria control tools, this is a reasonable value thing to do. Chris - And lastly, Matt, it's all very well if we keep shovelling the money in to help these people, but what about if there's another economic downturn, things get even tighter and people say, "We can't afford to keep supporting this." So they don't put the money in. What then happens to the people who have had their malaria prevented at a young age by your strategy and they then turn into adults with malaria? Is there not a danger they could get worse disease and the mortality rate could rebound and be even higher? Matt - So that's something that's been looked at carefully in the studies that have happened to date. Although that is something that does obviously need continuous monitoring because most of the research studies have been over this space of, at most, 3 or 4 years. So there is a concern if this is done over a very long period, it could be problematic. But those concerns are also raised for insecticide treated nets because it's really a similar idea that you'd be reducing the amount of exposure that children have had. And quite long-term follow up of trials of insecticide treated nets showed that actually, although there may be a slight increase in the malaria that adults or older children experience, it's massively outweighed by the malaria you prevent in childhood. So the cost-benefit analysis still comes down in favour of using these preventive approaches.